The Differences Between Overpack and Salvage Drums | Container Distributors Inc.
Two of the drums that you can use when transporting materials are called overpack drums and salvage drums. Moreover, while they will both help you to move materials safely, it’s important to recognize the differences between the two before you start using them. Here’s a quick breakdown of what separates overpack and salvage drums. According to the U.S. Department of Transportation, an overpack drum is any large container that is used to house a smaller container during transport. This kind of drum can be made out of any kind of material and can range from a 55-gallon metal drum to a drum constructed entirely out of hard plastic. Overpack drums are essentially protective packaging used to protect a container that has non-hazardous materials in it. The U.S. DOT is also quick to point out that while all savage drums are, by definition, overpack drums, all overpack drums are not salvage drums. In a lot of ways, salvage drums look a lot like overpack drums, which is why they are often mistaken for one another. But salvage drums are specifically designed to transport hazardous materials inside of them. 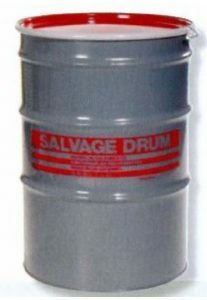 Salvage drums are, first and foremost, always labeled clearly as salvage drums. So if you don’t see labeling on a drum, chances are it’s an overpack drum. Salvage drums also meet strict pressure tests that allow them to house hazardous materials safely. They are never to be larger than 119 gallons, and they always contain cushioning and absorption on the inside of them that will work to prevent any hazardous materials from leaking out of the drums. Still confused over whether you need an overpack or salvage drum to transport materials? Container Distributors Inc. would be more than happy to break down the differences between them for you. Call us at 800-366-5098 today to learn more about them.